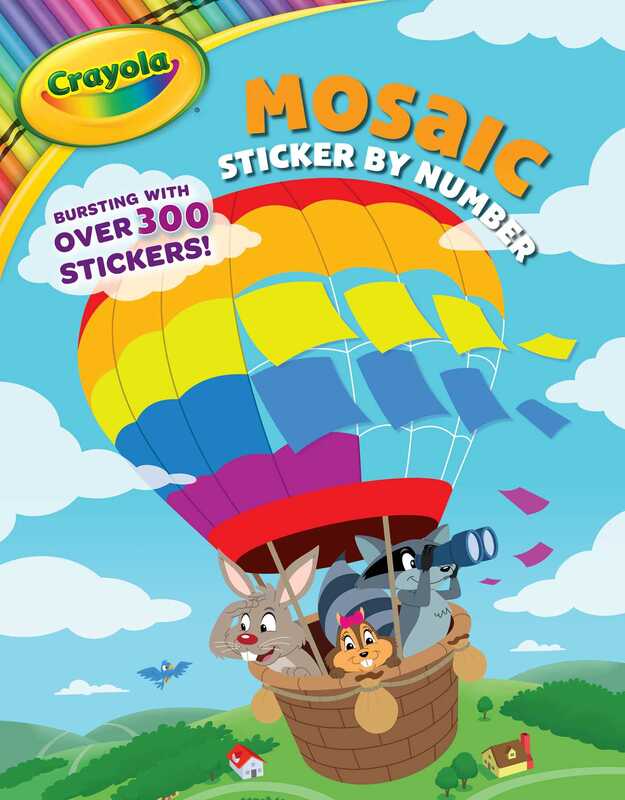 An exciting sticker by number book from Crayola, with fun scenes created by mosaics of colorful stickers! Over 300 stickers come together to create 22 images! This sticker by number title is just a little different! Enjoy over 20 exciting games and puzzles solved by a mosaic of colorful stickers on each page! Crayola's bold colors combine with fun activities for an imaginative take on sticker by number books. Kids will love completing each page and seeing the animals and characters come to life through their stickers!